“You injured me for life, just as you are injured. All that was sensitive and delicate, you attacked. 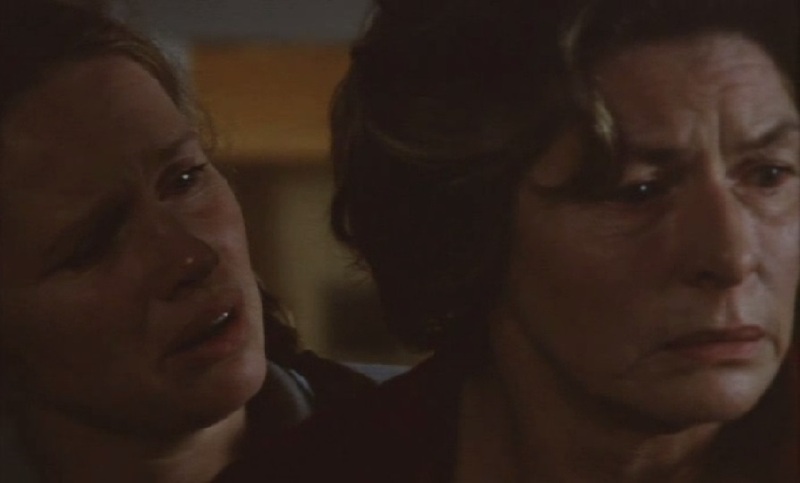 Eva (Liv Ullman) delivers those lines above with heartbreaking candor to her mother, Charlotte (Ingrid Bergman) in a wine-fueled conversation that forms the cathartic centerpiece of Ingmar Bergman’s Autumn Sonata. The entirety of the conversation occurs in the dark of night, when the mother and daughter come together after seven years. Their pent-up frustrations spill out in an encounter that feels all too sudden for both of them, as if the ample time they’ve had in their many years apart hasn’t prepared them one bit for this thorny moment of truth. I’m not quite sure what the reason is. Maybe my Eastern roots keep me at a distance from Bergman’s Scandinavian sensibilities, but I’ve always found myself admiring his work more than loving it. He is perhaps the most structured, the most formally polished director the cinema has ever seen and yet, so often his work fails to emotionally resonate with me, as if it is too refined for personal connection. But there’s no denying that his work has the ability to creep up under my skin and make an impact if the gravitas of his direction meets the type of material that I usually connect with. It’s happened with Persona (one of my top ten favorite films of all time); it’s happened with Cries and Whispers; it’s happened with Fanny and Alexander; and now it’s happened with Autumn Sonata, which I just recently watched for the first time. In the film’s most crucial, heartbreaking and defining sequence, which sustains almost the entire third act, two of the greatest screen actresses European cinema has ever seen battle their way through silent gazes, moist eyes and whispers and shouts. One, a negligent mother whose career as a musician has always taken precedence over her two daughters (the younger of whom is mentally and physically disables) is facing the fact that in her family’s eyes she’ll never be absolved of guilt. The other, a daughter whose detachment and awkward social behavior is a product of the emotional disconnect she had felt with her mother as a young girl, is determined to break all hell loose on the older woman once and for all. The sequence is reminiscent of Bergman’s Persona to the effect that the personalities of both women seem to be in the process of being reshaped through the recollection of their memories. Eva tells Charlotte that “there is only one truth and one lie” but Bergman himself seems skeptical. Whose truth is the truth, he asks the audience. The response doesn’t come in any definite form but that’s exactly why Autumn Sonata makes the profound impact that it does. There is no black and white; no one truth and one lie. The dynamic forms in a grey area where the two women – particularly Charlotte, embodied by an astonishing performance by Ingrid Bergman in her last screen appearance – get to peel layer after layer of memory and emotional baggage to rediscover themselves. Bergman, the director, allows his actresses to break free of the formal rigor of his film, just as they do, gradually and gracefully, from the icy chains of their relationship; and in their performances he finds the magic that brings his film to life. This is Bergman in his finest hour, where the intensity of the material and the precision of his direction don’t cost the film its emotional punch, but strengthen it. Bergman, unlike Charlotte, preserves all that is sensitive and delicate with poise.